* Spiral Two Flute, Upcut. * Designed for Air Routers with guide bushings. 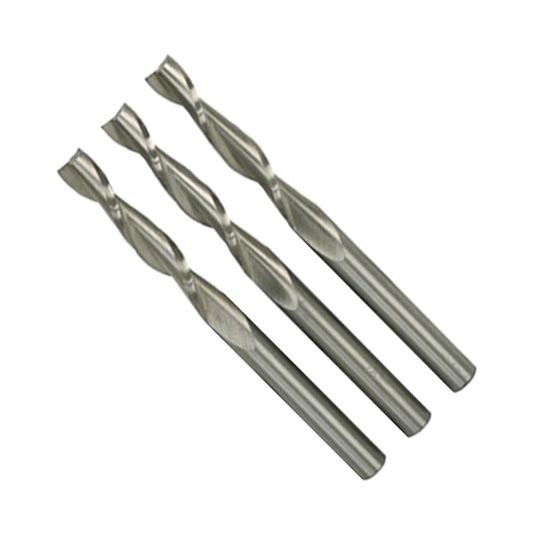 * Provides a smoother finish when grooving, slotting or blind routing than do single edge tools. Recommended when fixturing requires upward chip removal. * Single Flute or Spiral Downcut Bits are available on request.